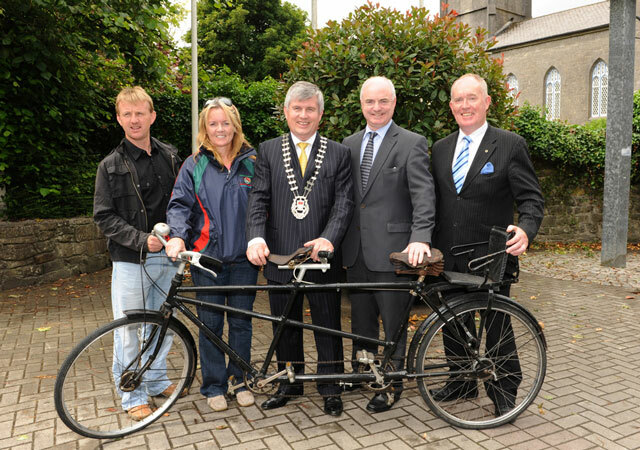 Launching alternative transport day for Mayo County Council staff and councillors. Alternative Transport Day Mayo County Council, L to R: Noel Gibbons, Road Safety, Anne Ronayne, Mayo Sports Partnership, Cllr Michael Bourke, Cathaoirleach M.C.C., Mayo County Manager, Peter Hynes and Cllr. Joe Mellett. Photo Tom Campbell.